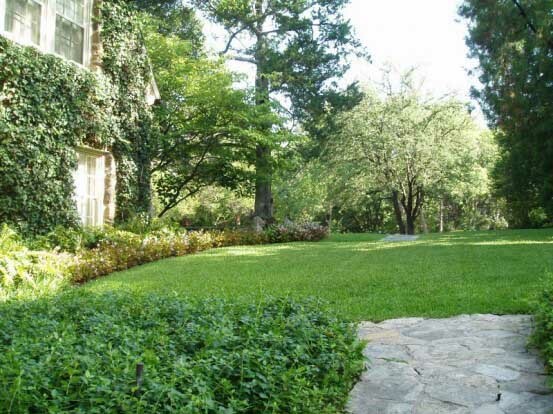 Here in North Texas, soil compaction is one of the biggest enemies of your lawn. Over time, soil compaction can suffocate your lawn and make it difficult for roots to take up water. It also weakens roots so plants are more susceptible to pests and disease. While we were all happy that the heavy spring rains helped add some volume back to local lakes, they also caused a lot of additional soil compaction and leached nutrients from our soil. Right about now, our lawns and landscapes could use a breath of fresh air at their root zone. While soil compaction can be a tough challenge, we are here to tell you that soil compaction can be remedied. WIth effort and time, you can have healthy, bioactive soil that grows strong roots and healthy plants. But, due to the nature of our soils, compaction will always be something you’ll have to stay on top of. 2015 Spring rain and flooding suffocated our lawns! 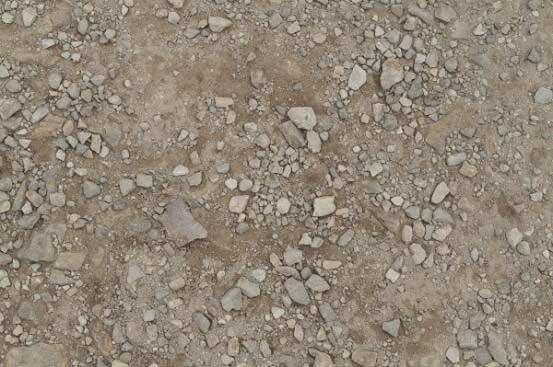 Compacted soil is often gray, cracked and very difficult to dig into. Soil compaction is just what it sounds like: Soil gets compressed, be it from heavy rains, foot traffic, equipment usage, landscape blowers and more. Our heavy clay soils are naturally prone to compaction. Air space basically gets pressed out of the soil and it becomes very dense. As oxygen decreases, as well as space for water to percolate, problems can build. Compacted soils have a hard time absorbing new water, or releasing water it’s already absorbed. If water is sitting on top of your soil for more than a few minutes, your soil is most likely compacted. When it drys it can turn into a brick! So, your plant roots can suffocate and drown, or dry out completely because new water can’t reach them. Lawns and landscape plants growing, or trying to grow, in compacted soils, can easily fall victim to water stress, nutrient deficiencies and a bevy of soil borne fungal diseases. The good new is, with time and patience, your soil can reduce compaction and improve its health using eco-friendly options. Growing healthy, rich soil full of microbial activity and improved texture takes a consistent regimen of proper care including regular aeration, adding organic matter and other amendments. By adding organic soil conditioners, such as compost or liquid compost tea, you’ll feed the beneficial organisms: Beneficial microbes break down organic matter to feed your plants. They also help loosen it and improve it’s quality. Beneficial organisms like earthworms will move back in and aerate the soil naturally. As soil texture improves, water drains properly so plants don’t drown or stay thirsty. Punch holes in your lawn…. Yep, we’re serious! But in the trade we call it core aeration. Performing core aeration on your lawn each year will greatly improve the texture and quality of your soil. Core aeration is done by removing small plugs of soil from the lawn, which then helps oxygen to flow more easily to the root zone. It also stimulates microbial activity and the breakdown of excess thatch. Does your lawn need extra breathing room? We offer professional core aeration services to Soil Building Program customers. As we’ve said countless times before, such as here and here, soil is a living organism. Starve your soil, and your plants will starve, too! Here in North Texas, our tough clay soil must be amended with organic matter on a regular basis in order to keep it healthy. One way to feed your soil is to have us feed it 8 times a year with our Soil Building program. We feed your soil with liquid compost extract, humus, earthworm castings, biostimulants, and other organic amendments that will improve the overall health of your soil and also your lawn and garden. More steps to healing your soil organically HERE. Reducing soil compaction is huge step towards improving your lawn and garden. Bookmark our blog to learn more about growing lush, healthy grass and beautiful plants.